Diego Maradona was presented as the chairman of Belarusian club Dinamo Brest at a colorful reception. Right from Brest airport the legendary former Argentina striker was treated like a superstar. 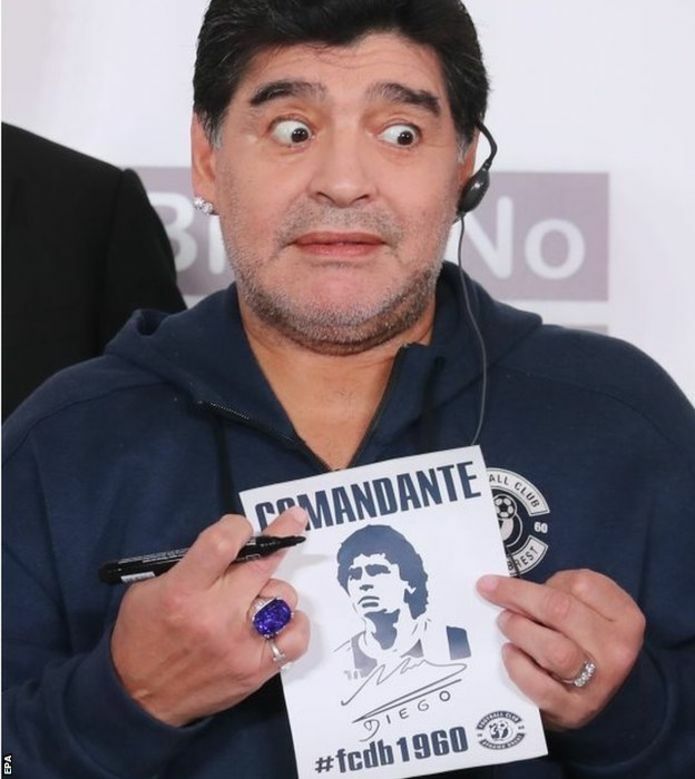 At his reception, Maradona, who left his role as coach of Al Fajairah in the UAE earlier this year, was given a ring and signed various items. Brest, who are sixth in the Belarusian Premier League, announced the arrival of the 57-year-old in May. Maradona has been watch the World Cup in Russia making plenty of headlines.